Mental health is nothing to play with. Personally, I’ve had my own battle with anxiety over the last year. It’s pretty scary stuff. My oldest son also battles with depression and anxiety. I love when celebrities are transparent about their battles. It serves as a simple reminder that no matter how glorious or glamorous they may seem, at the end of the day, they’re people. 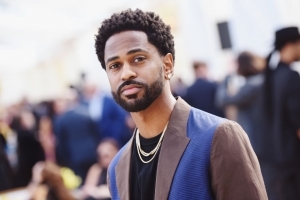 Big Sean is one of those celebs that I commend for speaking up and out about his mental health struggles.